BOSTON (09-Feb) -- In front of a raucous crowd at the Boston University Track & Tennis Center here tonight, 17-time NCAA champion Edward Cheserek of Kenya (Skechers Performance) ran the second-fastest indoor mile of all time, clocking 3:49.44 in a special three-man race. Only one man, two-time Olympic gold medalist Hicham El Geurrouj of Morocco, has run faster indoors, a 3:48.45 performance in Gent, Belgium, in 1997. In tonight's race, on the first day of the two-day David Hemery Invitational, Cheserek received pacing help from Brannon Kidder (Brooks Beasts) and Drew Piazza (unattached). Kidder led the trio through an opening 200-meter lap of 28.9 seconds and a quarter mile of 57.6 seconds. 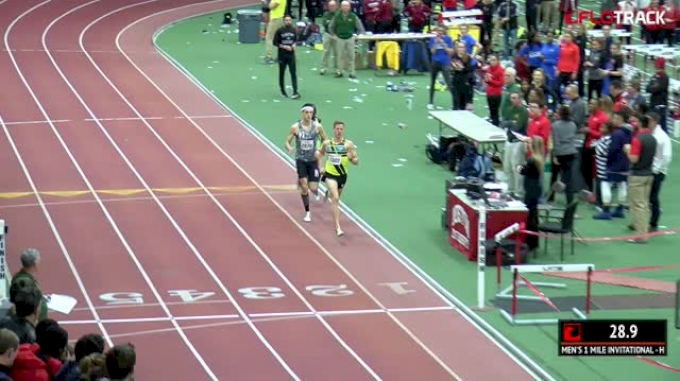 The taller Piazza, wearing a white headband, ran on Kidder's heels with Cheserek tucked in behind. The three men stayed in formation through half-way (1:54.6), then Kidder dropped out on the backstretch of the fifth lap leaving Piazza to take over. Cheserek, 24, was feeling good and urged Piazza to keep the pace high. "I keep telling the second pacer, 'just go faster, just go faster,' in the middle," Cheserek told Race Results Weekly after the race. "I was about to pass him but, you know, he was good. He picked up a little, but I was, like, I got to go." Piazza, a 1:46.69 800-meter runner, made it through three-quarters as planned in 2:52.4 leaving Cheserek on his own for the final two laps. Urged on by the crowd, which included hundreds of collegiate athletes who were competing in the regular section of the meet, Cheserek ripped the final quarter in 57-flat to run the fastest-ever indoor mile on U.S. soil. He remains the fastest Kenyan man ever indoors, surpassing his own indoor national record of 3:52.01 set on this same Boston University track one year ago. For Cheserek, who is coached by Stephen Haas in Flagstaff, Ariz., tonight's result was not a surprise. 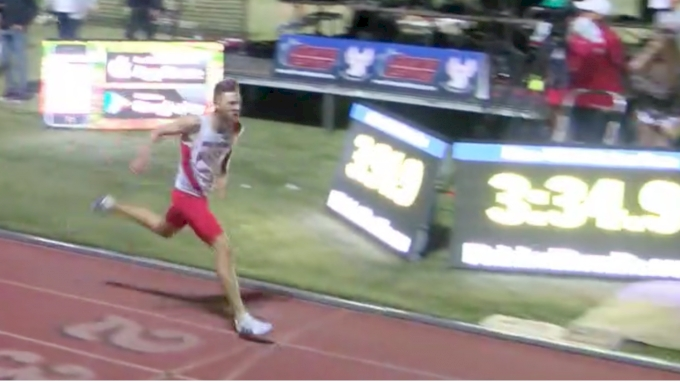 On January 27, he ran a world-leading 3:54.73 mile at a collegiate meet at high altitude in Albuquerque, N.M., then backed that up with an even faster 3:53.85 on a 200-meter flat track at the Camel City Invitational in Winston-Salem, N.C., last Saturday. 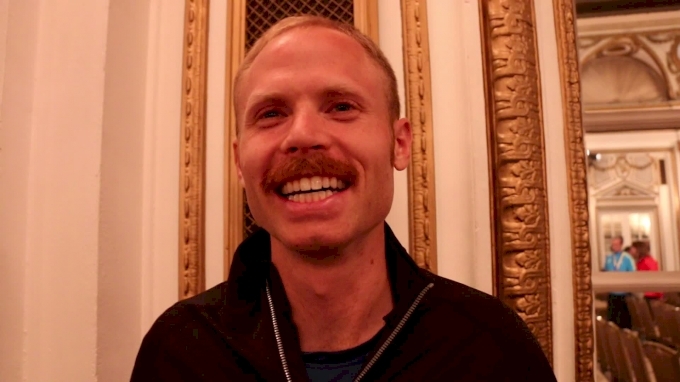 He told Race Results Weekly this morning at a Boston hotel that he had not yet done any serious speed work, but that the steady-state and pace training he had been doing at high altitude was paying significant dividends. He said that his body felt good and that he wasn't dealing with any injuries. "I knew that I was running at altitude, running 3:54, 3:53, I think I have sub-3:50 in me," Cheserek said after autographing the back of a young fan's iPhone. "I noticed when Brannon Kidder was, like, hitting perfect split I was, like, I got this." Ironically, Cheserek doesn't think of himself as a miler, but rather a 5000-meter man and a part-time road racer. Improbably, he said he has no intention of racing the distance again. "You know, probably this is my last mile," he said, perhaps being coy. "But, you never know." When a reporter suggested that he was in the same league as Asbel Kiprop, Kenya's three-time world 1500m champion, Cheserek laughed. 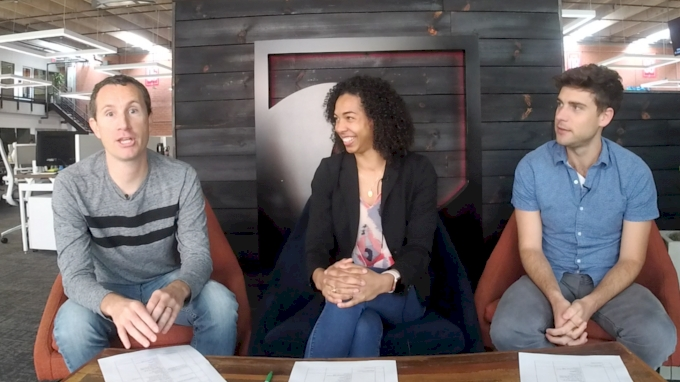 "I mean, I wish I had those long legs," Cheserek said. "But, know you, I'm a short guy and have short legs. If I had those legs, I should be running faster." 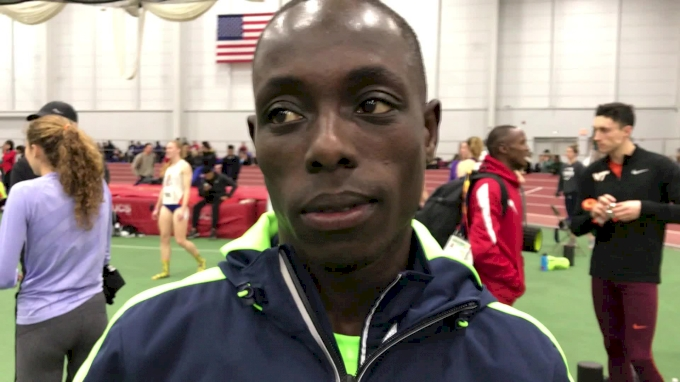 Cheserek may race again in Boston tomorrow at the New Balance Indoor Grand Prix at a different track in Roxbury where he is entered in the 3000m. 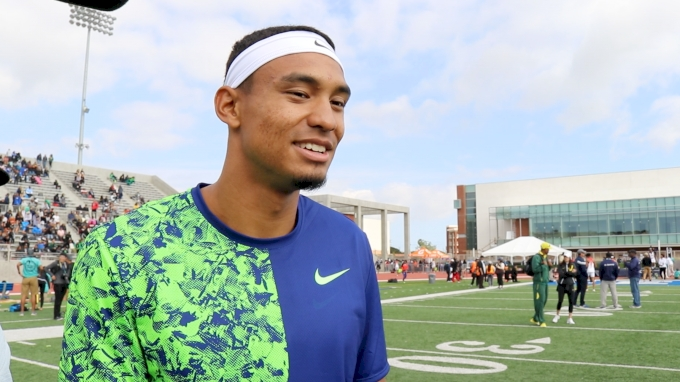 He said "maybe he would come back again" for Saturday's race, part of the IAAF Indoor World Tour. Also here tonight, University of New Hampshire steeplechaser Elinor Purrier ran a world-leading and personal best 4:26.55 in the women's mile, the second-fastest indoor time ever by a collegiate woman according to a list compiled by Track & Field News. "Honestly, I knew I could do it," an emotional Purrier told Race Results Weekly. "I just knew I needed to have the right race to do it, and be in the right mindset. Yeah, I believed in myself." 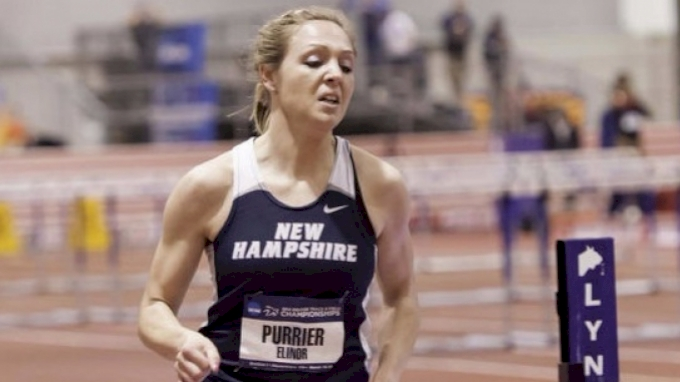 Purrier said she wasn't sure if she would compete in the USA Indoor Track & Field Championships next weekend in Albuquerque, N.M., but was definitely focused on the NCAA Indoor Championships in College Station, Texas, in early March. Canada's Gabriela Stafford finished second in 4:27.44, likely locking in a team berth for Canada at the IAAF World Indoor Championships in March.